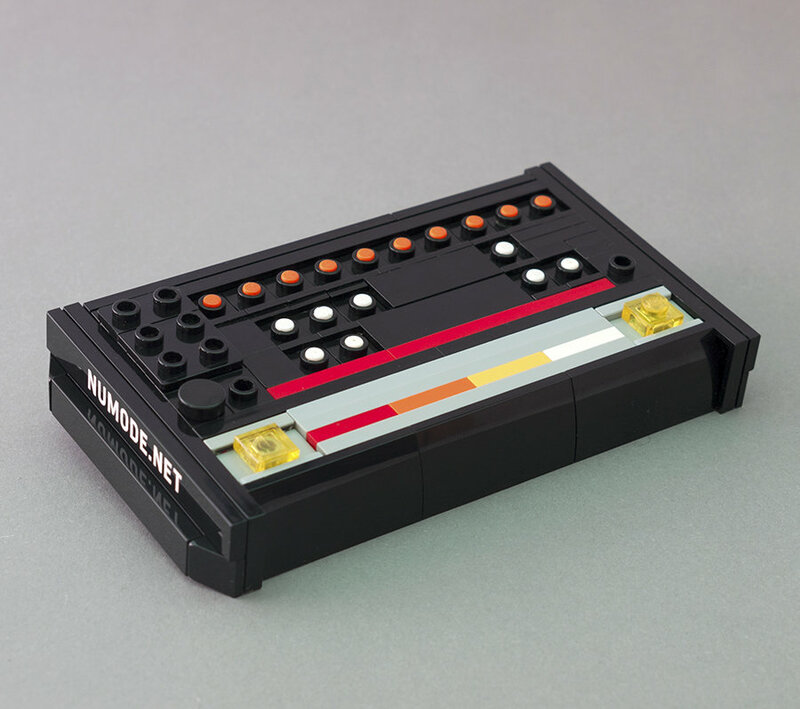 To celebrate the unrivalled sounds of the worlds favourite Drum Machine, I present my latest model as a Custom Lego® Building Set. This scale model of the analoge machine that puts the low Kick in your Drums and a powerful Clap in your Hands, not forgetting the possibility of adding much more Cow Bell . Available now for pre-oder as a custom lego building set. Please note: The preferred method of payment for customers inside the European Union is IBAN payment (SEPA). Please write your order number in the transfer notes. If the store is being displayed in a language other than your own, please change the preferred language setting in your browser and refresh the page. For orders being sent outside of the European Union it is possible that could incur some customs fees once your order arrives in the destination country. Enthält verschluckbare Kleinteile! Nicht für Kinder unter 3 Jahren geeignet. Contains very small parts. Not suitable for children under 3 years. When adding a product to the cart with ‘Pre-Order’ in the title it confirms your intent to purchase a product although it is not yet available to ship. Any other currently in stock items in the your shopping cart will be first held and then ship together with the Pre-ordered items once they become available. Alternatively, simply seperate these into two orders. Pre-Orders require full payment to confirm the order. All Pre-order items will include the ‘Expected shipping date’ in the product description. You are entitled to cancel the Pre-order and receive a refund if it is unable to be sent within one week after the expected shipping date. In this case you will be contacted per email. This option is available to the buyer until the order ships, although not afterwards. For more information regarding Pre-orders please contact me. Shipping prices are calculated automatically and should there be an error I will refund the difference after the product ships.